Tsurumi's TRN submerged aerators mix the tank and add large quantities of oxygen. "This technology does not require membrane jets which means it cannot become blocked," product manager Carsten Bode reiterates. This makes it highly interesting for breweries, producers of mineral water and dairies as it allows them to satisfy the discharge limits. "TRN submerged aerators work along the same principle as submersible pumps, however they move air, not water. This means they are practically fail proof even if used permanently," says Carsten Bode. The oxygen bubbles required for the biological preclarification phase are generated by means of rotation. Almost as a side effect, the content of the tank is kept in motion to prevent sediments forming. The fans do not require a compressor, nor do they need to be attached to the structure because they are simply lowered onto the base of the tank. Only a power cable, suction line and retaining chain are required. The shape of the tank is also irrelevant. If several fans are used, the clarification process runs without interruption should one unit need to be removed. There are ten models with motor outputs ranging from 0.75 to 40 kW in the product range. The TRN adds up to 600 m³ air per hour. It is also well suited for expanding capacity levels or as a backup for existing systems. It is also possible to use the unit together with aerators from other manufacturers. 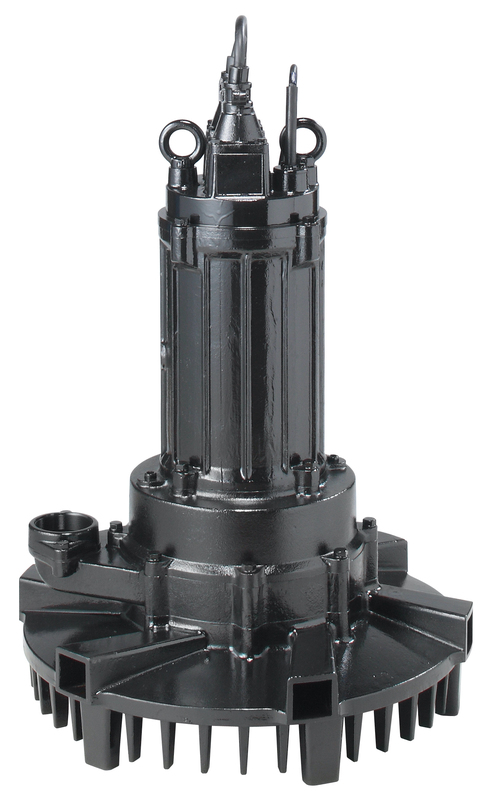 As a result of its expertise as the world's largest construction pump manufacturer, Tsurumi will also be presenting numerous waste water pumps; for instance the new GY for fibrous, coagulating media. It is equipped with a multi-blade impeller and cutting device. The combination of stationary cutting ring and rotating blade is so efficient that cable cross-sections of 2 inch and upwards are sufficient. It will also be presenting special pumps made of rustproof steel (PU series) or titanium (TM series) for initial pumping of chemically aggressive media, and also LSC flat suction units that can even suction up puddles. Users appreciate the durability and maintenance-friendly character of the 'Tsurumis'. The manufacturer also provides extensive support on site. The company strives to offer the best service in the industry. For more information, please visit the Tsurumi.eu website.